Xstamper COMPLETED Stamp - Xstamper red ink "Completed" Title Stamp is pre-inked for 100,000 impressions and re-inkable for 100,000 more, again and again. Patented cellular inking process delivers cleaner, more consistent impressions. 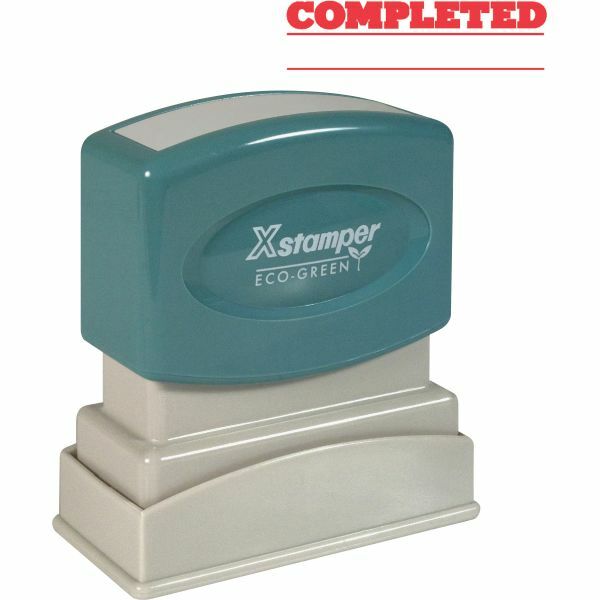 Retractable frame keeps stamp surface away from desktop until ready to use. Impression size: 1/2" x 1-5/8".